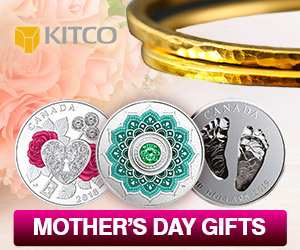 (Kitco News) - In what has been a familiar theme for the gold market, its next trend could be determined in a single day next week, depending on what the Federal Reserve says on future monetary policy. The gold market has been stuck in neutral around the critical psychological level at $1,200 an ounce for the last five weeks ahead of an all-but-guaranteed 25 basis-point interest rate hike. Comex December gold futures last traded at $1,202.40 an ounce, up 0.11% from the previous week. While some analysts have described gold’s recent price action as boring, others see the market as a coiled spring, building a base as it waits for sentiment to shift. Many analysts have said the gold market, which has dropped almost 12% from April, has fully priced in the Federal Reserve’s current monetary policy trajectory and is now primed to see a relief rally. “The market is coiling well and we just need a catalyst to spark a rally and that could come from the Fed,” said Bill Baruch, president of Blue Line Futures. According to some commodity analysts, the Federal Reserve’s view on where it sees neutral interest rates will be crucial to gold’s next trend. What Is The Neutral Rate? In basic terms, the neutral or natural rate is where equilibrium is found in the economy where monetary policy is neither stimulative nor restrictive. The Federal Reserve itself sees interest rates approaching that neutral territory, according to discussions at the previous monetary policy meeting. “Participants noted that the federal funds rate was moving closer to the range of estimates of its neutral level,” said the Minutes of the July monetary policy meeting. However, economists and analysts want to see if that sentiment has changed as inflation continues to heat up and the U.S. labor market remains at full employment. Jasper Lawler, head of Research at the London Capital Group, said that gold prices have been dragged down because of surging momentum in the U.S. dollar as markets have been pricing in aggressive monetary policy action from the U.S. central bank. However, he added that that particular trade is running out of steam and could potentially reverse next week. The U.S. dollar has struggled to find momentum in this past week as prices fell to a 3-month low. The U.S. dollar index last traded at 94.26, down almost 1% from the previos week. George Gero, managing director at RBC Wealth Management, said rising bond yields highlights a growing risk that the central bank shifts its neutral outlook. 10-year bond yields are trading at 3.07%, its highest level since mid-May. So far this month 10-year bond yields have risen nearly 8%. Ronald-Peter Stoeferle, fund manager at Incrementum AG, said that although he thinks gold is attractive at current levels, he can’t rule out lower prices in the near-term. He said that there is a risk that the Federal Reserve increases the outlook for where it sees neutral interest rates as the U.S. economy remains active with the labor market at full employment and equity markets pushing to new record highs. “The Fed will continue to raise interest rates as long as equity markets keep going up and that will keep a lid on gold,” he said. However, Stoeferle said that it is only a matter of time before gold prices rally as monetary policy raises the risk of a recession. Long-term he said that he sees a toxic environment for the U.S. economy as interest rates rise, the Fed quickens the pace to lower its balance sheet and deficits grow out of control. “I think gold could continue to build a base for a little while longer but the stronger the base, the higher space,” he said. “Gold will break out when investors and markets realize that a recession is looming. “We are at the stage of the party where things are getting crazy just before someone calls the cops and the party comes to a crashing end,” he added. Stoeferle added that bearish speculative positioning and negative sentiment at record highs, the set up for higher gold prices in the last 16 or 17 years. In a report Friday, Andrew Hecht, creator of the Hecht Commodity Report, said that a hawkish tone from the Fed next week could send gold prices back down to its recent lows at $1,180. However, a dovish tone that puts rate hikes in doubt in 2019 would push prices back above $1,220 an ounce. “I am sitting on the sidelines in gold but prepared to go with the trend if it breaks below $1,180 or above $1,220 per ounce next week and beyond,” he said. Baruch said that he is long gold at current levels and is using options contracts to manage his position and risk. Because gold has been stuck in a narrow range for the last five week, many analysts say that the critical levels to watch are still in place. For many analysts the first significant resistance level comes in around $1,236; on the downside, gold needs to break last month’s low at 1,180.